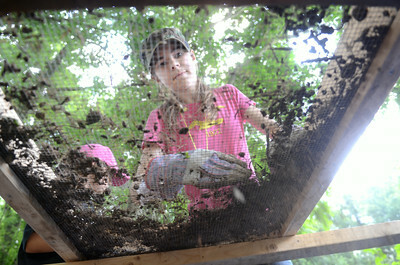 Kids get a taste of the life of an archeologist while digging for artifacts at Fort Halifax this week. 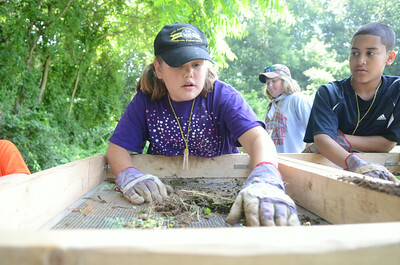 Kendra Stark, 14, Sunbury, sifts through dirt while looking for artifacts at the Fort Halifax site on Wednesday during a Archeology Camp in conjunction with the Ned Smith Center. 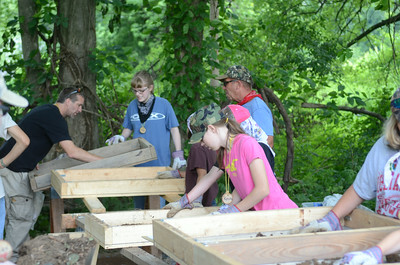 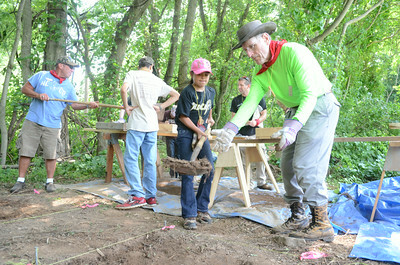 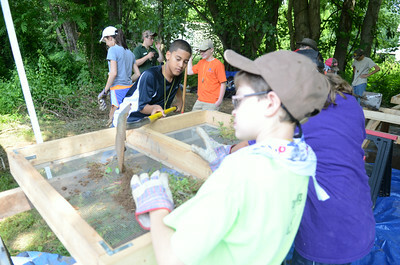 Bruce Baker, left, of the Ned Smith Center, talks with Isabella DiSanto, 8, Harrisburg, and Emily Snyder, 10, Dauphin County, as he helps them sift through dirt at the Fort Halifax site on Wednesday morning during Archeology camp. 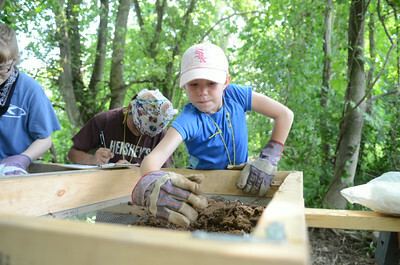 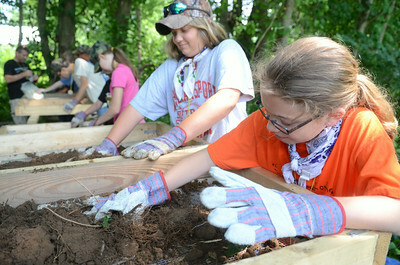 Chloe Bower, 11, left, Halifax, and Londyn Snyder, 9, Halifax, sort through dirt while looking for artifacts during Archeology Camp on Wednesday at Fort Halifax in conjunction with the Ned Smith Center. 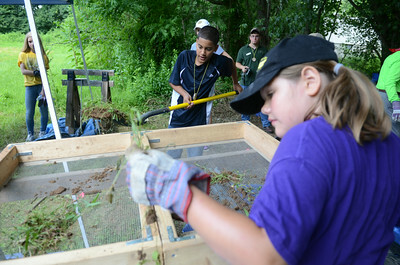 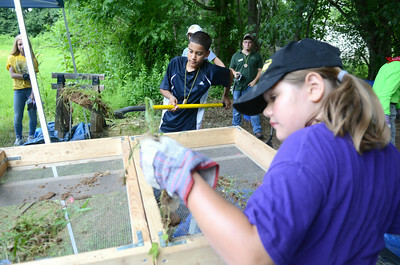 Kenny Fuentes, 12, left, Susquehanna Township, puts a shovel full of dirt into a sifter for Emma Grim, 10, Dillsburg, to look through for artifacts during a Archeology Camp at the Fort Halifax site in conjunction with the Ned Smith Center on Wednesday morning.